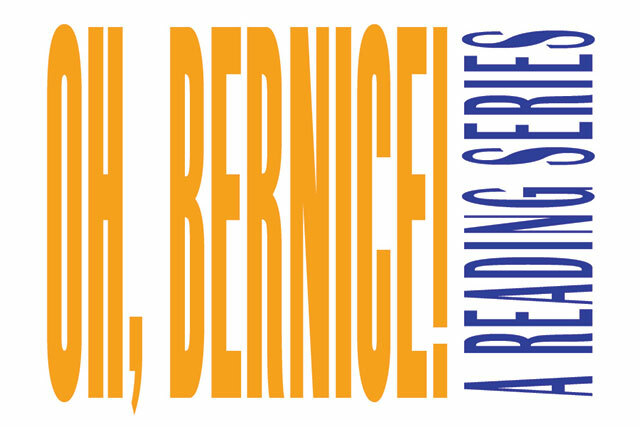 Reading Series Census: Oh, Bernice! John Rice and Jenna Telesca have traded off responding for Oh, Bernice. The reading series is named after our writers collective. The collective, originally nameless when started in 2010, eventually got its name from our email listhost. And “Bernice,” suggested by collective member John Reid Currie. The internet being a crowded place, “Bernice” was taken, so I made it “Oh, Bernice!” A sentence is better than a name any day. And, incidentally, the line “Oh, Bernice!” was already written into one of John’s short stories. The collective quickly took on the listhost’s name. Now, we identify as Bernicians. In January 2012, Oh, Bernice! Writers Collective expanded to a reading series. Bernician Tyler Rivenbark got the series going, organizing the first reading at Café Marlene in Sunnyside, Queens. John Rice has been our esteemed series coordinator since 2013. The Bernicians all share hosting duties, and we’re going to be mixing things up for the 2015/2016 season, with more of the group getting involved in the reading logistics. Bernice takes submissions in all genres. (#Yesallgenres?) We’ve been lucky enough to have submissions (and readings) in poetry, fiction, nonfiction, translation, and drama. We’ve also been talking to playwright and Australian animator, Jack Feldstein–he’s read from some his dramatic pieces for us before, but, at some point in the future, we’re hoping to figure out a way to show some animations, too. We’ve been operating out of the Astoria Bookshop for the past couple of years. Before that it was Cafe Marlene, in Sunnyside (which I heard closed, I believe, just last year). We’re big on the Queens scene, but our work has also brought us to have pop-up events in Fanelli’s Cafe and Union Hall, as well as festival appearances in the New York City Poetry Festival and the BK Lit Crawl. Oh, Bernice! first took the mic in January of 2012, and we kept going ever since. Folks can feel free to check out ohbernice.com for more information about the series and what else we’re doing. We’re also occasionally on Tumblr and Twitter (@ohbernice). Ideally, both. I know quite a few of the Bernicians, myself included, will go out to a reading and wind up booking someone. There’s nothing I like more than seeing a really awesome writer read and trying to snag them for the series. (If I can pretend I actually have people skills and aren’t actually seriously introverted, that is!) We do take submissions, too, year-round. Writers in any genre can send us an email at bernicesubmissions@gmail.com, with a writing sample of up to 10 pages. Oh, wow, yes. The first Oh, Bernice! reading was just six of us, up on the stage in the basement of Cafe Marlene. We didn’t really think anyone would show up, we just wanted to give ourselves a reason to keep writing. (People showed up, so we started thinking about the next month.) So much has changed since then! We’ve been honored to have countless amazing writers read with including multiple Guggenheim fellows, a Lambda Award winner, a Grammy Award winner, and many, many others. So, I guess our goals now are to showcase the best writing we can and to really prove how vibrant the literary scene is here in Queens, NY. I think I can sum this up in one word: personality. It’s not just the strong visual style and jokes about the movie Kazaam, there are also times when we try to reinvent what a reading is—it’s led us to host evenings like The Oh, Bernice Dating Game, game shows involving talking pineapples, a visit from Edgar Allan Poe, and Dollar Store Secret Santa. Even when we’re not being goofballs, when we’re just bringing you high-quality literature in all genres, we’re doing it with a certain panache, a certain élan. New month, new Bernician, new reading. The next Oh, Bernice reading is scheduled for Saturday, October 17th, 2015 at Astoria Bookshop.